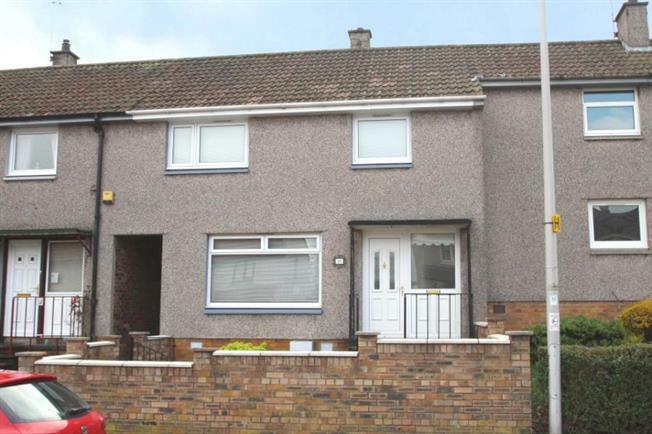 3 Bedroom Terraced House For Sale in Glenrothes for Fixed Price £112,000. This beautifully presented mid-terraced villa is located within the popular South Parks precinct of Glenrothes. The property has been refurbished in recent months to create a contemporary home and thought has been given to modern day living with USB sockets in main apartments and neutral decoration, carpets and floor coverings throughout. The property is ideally situated for local amenities including convenience shop and schools, with good access to the town centre and therefore, should make for an ideal purchase to suit an array of potential buyers. The accommodation comprises of entrance hall with under stair storage, dual aspect lounge, kitchen fitted with white high gloss units, integrated ceramic hob, electric oven and extractor hood with space for other appliances and with access door to rear garden. On the upper floor are 3 bedrooms, 2 with built-in storage/wardrobes and a modern family bathroom with mains shower over bath. Externally, the front garden has been chipped with monoblock path for ease of maintenance. There is a shared access close to the side providing access to the south facing rear garden which has been chipped and paved to create an ideal outdoor space and benefits from two brick storage sheds.